Under Dhoni's captaincy, says Rajneesh Gupta, India has won just 2 out of 21 away Tests since 2011, while losing as many as 13 Tests. Image: India Captain Mahendra Singh Dhoni. India's overseas Test record is going from bad to worse! In the last four years, the team's showing away from home has taken a sharp downward slide as compared to the period before it. From 2000 to 2010, India were a force reckon with in Test cricket and consistently won matches away from home, but since 2011, the Test team's fortunes has plummeted sharply and winning overseas is a rarity. Team India sits a lowly sixth in the International Cricket Council's Test Ranking, only a couple of rating points above New Zealand. If they lose the Boxing Day Test starting in Melbourne, on Friday, or both the Tests against Australia, they would slip below the Kiwis to seventh just above West Indies, Bangladesh and Zimbabwe. A comparison of India's showing in Tests outside the sub-continent from 2000 to 2010 to the period since 2011 clearly shows how the performance of Dhoni & Co. has deteriorated in the last few seasons. In the period from 2000 to 2010, India won 12 and lost 14 out of 41 Tests, but since 2011, they have won only two and lost 15 out of 23 matches. Image: Sourav Ganguly celebrates his hundred during the second Test against Australia in Mohali in 2008. Before Sourav Ganguly took over the captaincy, winning away Tests in Australia, England South Africa were considered next to impossible for the Indians. Ganguly instilled confidence in his players and under him the team's fortunes changed dramatically. After him, his predecessors Rahul Dravid and Anil Kumble also led the team with distinction in overseas Tests. After the seniors retired, the Indian team underwent a period of transition and the youngsters have not been able to replicate the performances of the previous generation. 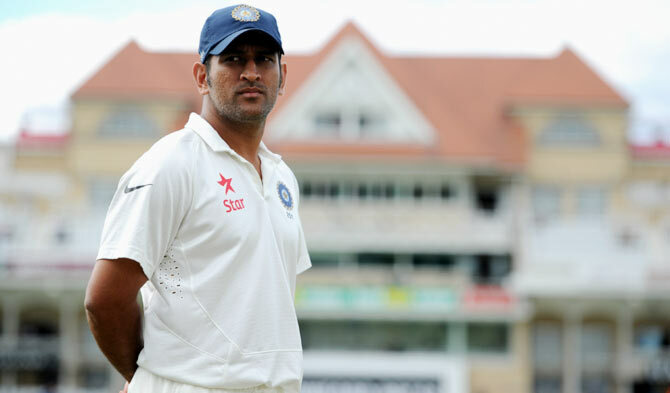 Dhoni has been lucky to retain his captaincy despite a string of defeats away from home, including back-to-back 0-4 Test series whitewashes in England and Australia in 2011. Under him, the team has won just two out of 21 away Tests since 2011, while losing as many as 13 games. Unless, India can come up with an improved showing in overseas Tests, they will find it hard to get back to their glory days. 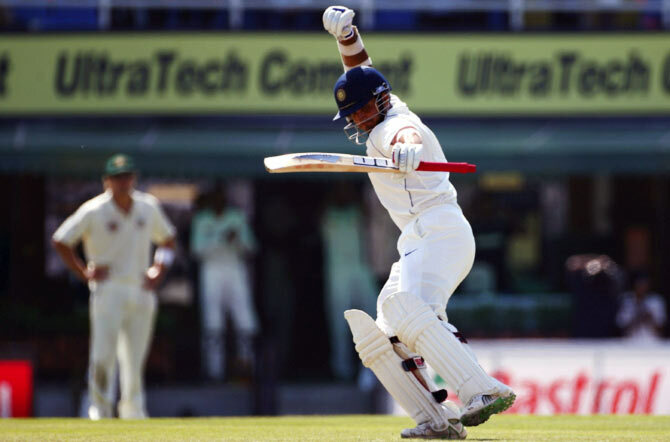 Is Pujara living up to Dravid's legacy at No 3?